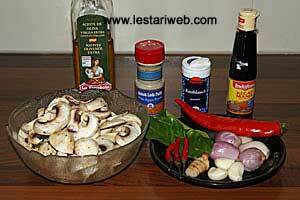 Have you ever asked yourself what is actually the secret tricks of making a delicious asian stir fry dish? The answer is just simple as to make it ;-). 1st. Sufficient spice, means more is better than less. 2nd. Stir-fry the spice until fragrant or you can smell the good aroma then proceed to the next step. 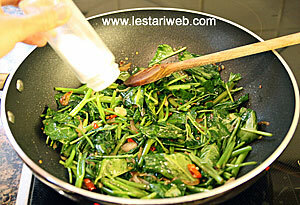 Trim and discard the bottom coarse, hard end of the water spinach. Cut the remaining part into 5 cm lengths, keeping the leaves separate from the stems. Rinse in a cold water separately. Set aside to drain. 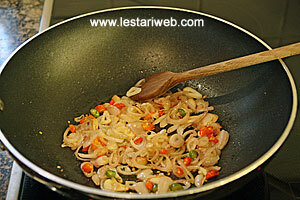 Heat 2 tbsp oil in a wok or frying pan and stir fry shallot, garlic, chilly and galangale. Stir all the time until fragrant and you smell the good aroma. 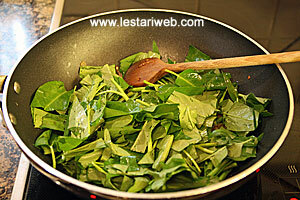 Add the stem part of the water spinach, stir and cook for 1-2 minutes. Add the leafy parts. 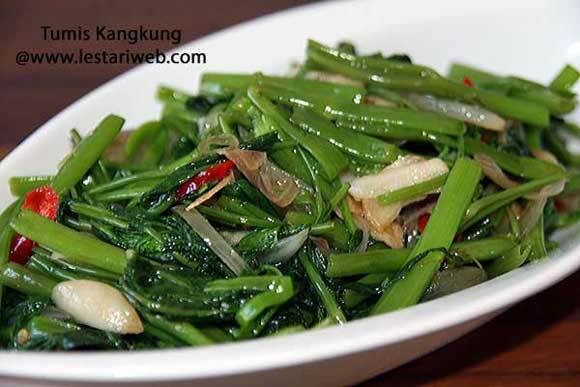 Cook briefly until just wilted. 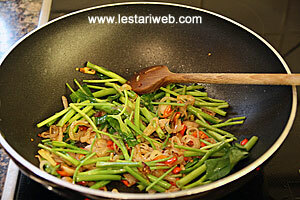 Add salt to taste and take the wok away from the heat to prevent overcoked. 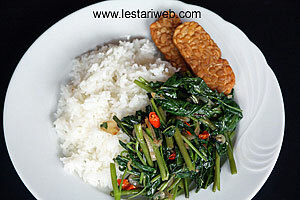 Serve hot with rice and other accompaniments (ex. Fried Tofu or Tempeh)).